I did it! 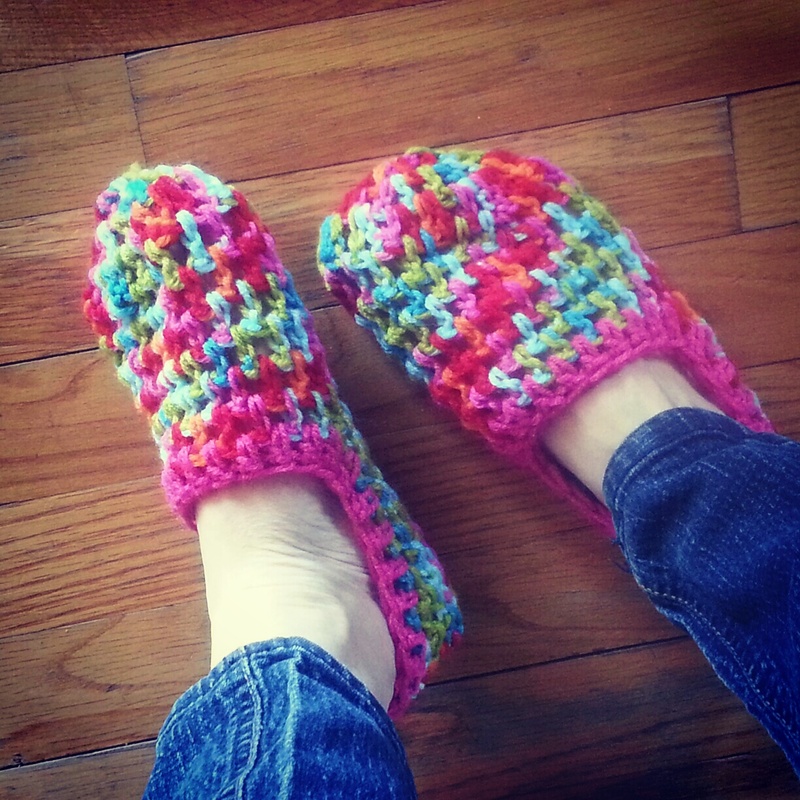 I made some crocheted slippers – it’s a proud crochet moment. 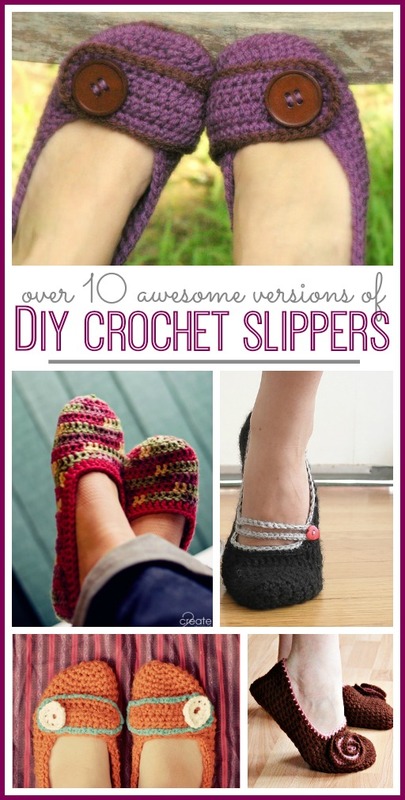 I had about a million different slipper tutorials pinned – well, several anyways. And after looking at a few I got the concept. And I read a pattern and actually got it to work. I’m not much for pattern-reading, and I’m only a very basic crocheter, so I was excited. If you are looking for more Crochet Slipper Patterns, I have a list of a bunch HERE. I wasn’t sure if they’d stay on well, so I made them come up higher on the front of the foot – – but then I think I had mine come up too high – oh well. After making them, I would tweak them to be smaller and tighter on my toes and whole foot in general. After wearing them a few days, they stretched out (especially after I wore them with thick socks on). So the general idea – or way I can explain it best – is that you crochet around and around, like you are making a “hat” for your toes. Then when you get to where the hat ends, you keep going but just in a back-and-forth rectangle across the bottom of your foot. Then you connect the short side of the rectangle at the back of your foot. That’s how I picture the construction in my mind – hope that helps! 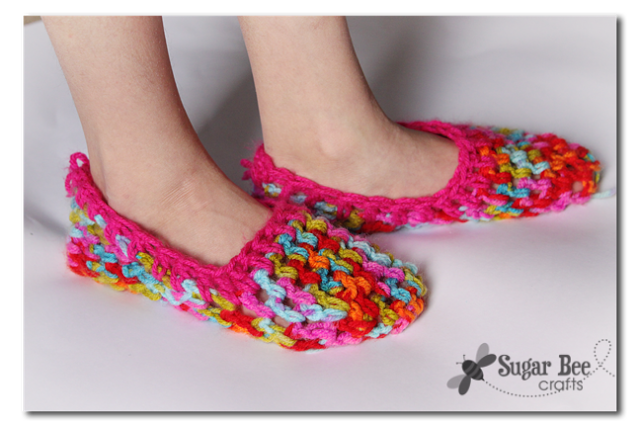 Then I took it up a notch – my daughter was prepping for Pajama Day at school and just HAD to have a pair of slippers – so I modified the pattern and made a pair for her – how’s that for awesome?! Fun, matching set! 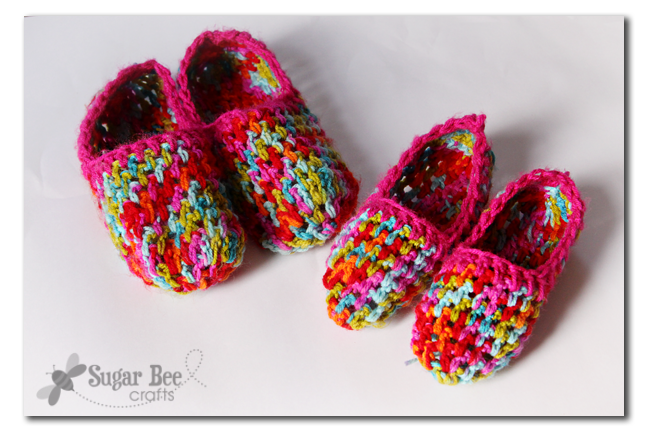 The trickiest part about making them is making the second foot to match the first one – because I knew I didn’t follow the pattern exactly so I wasn’t sure I could replicate my changes for the second foot. It was a fun crochet project – give it a try!! « Canister Labels – and a Silhouette GIVEAWAY! Very pretty. 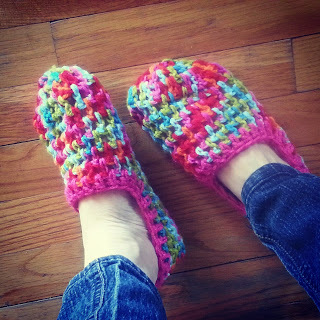 I’m a very basic crocheter too & have really wanted to find a cute simple slipper to try. I like the choice of yarn too. Nice job! 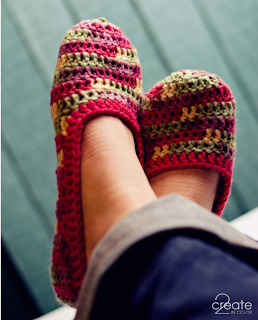 These are so cute and I bet comfy. I wish I could crochet. Your sillper so cute love the colour! This are sweet. 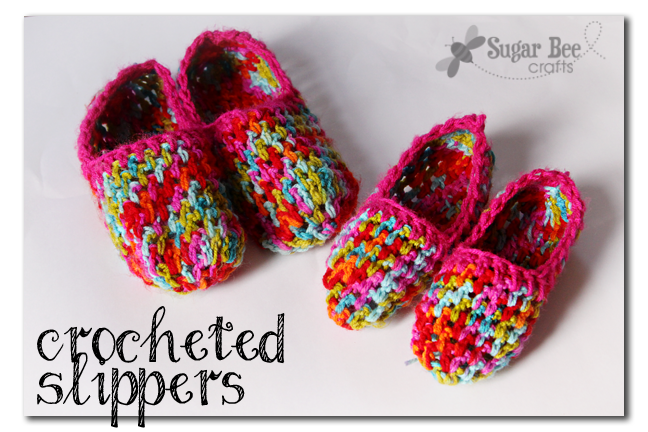 I can just barely crochet, more of a knitter, but I think I will give them a try. Pinned them anyway, lol.